The 2018 Dodge Challenger from Briggs Chrysler Dodge Jeep Ram in Fort Scott, KS, Serving Olathe and Kansas City, was created for the bold driver. With endless customization options, including bright colors like Go Mango orange and unique stripe packages, there's plenty of ways to create the 2018 Dodge Challenger you want. The iconic full-width, rear LED taillamps showcase this car's need to stand out. 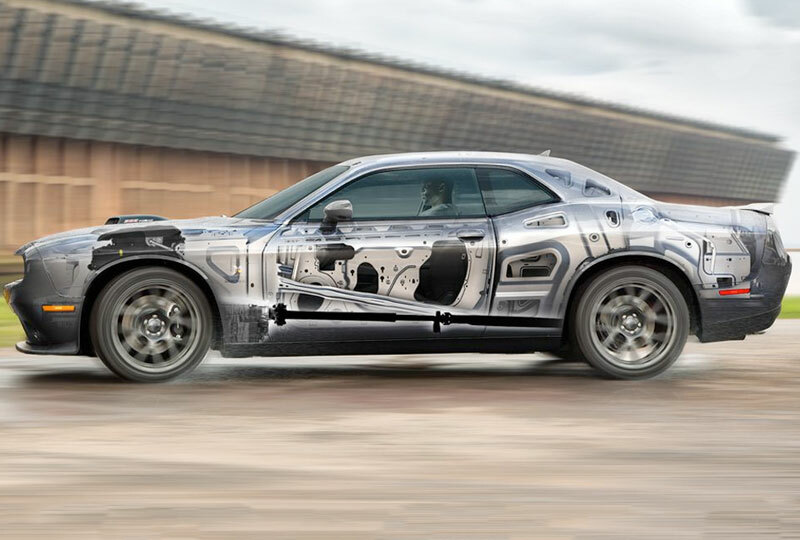 Multiple engines are ready to show you a true performance-style driving experience, including the 3.6L Pentastar V6 engine with 305 horsepower and the legendary 6.4L HEMI SRT Hellcat V8 engine with 707 horsepower. The race-inspired seats have beautiful accent stitching, and there are 16 different interior styles to choose from. You have plenty of convenient features as well, such as keyless enter and go, Uconnect with voice command, and dual-zone automatic climate control. The time to buy a new Dodge is now. We have a great selection of 2018 models and unbelievable deals. Call us at 888-325-7339 to schedule your test drive, or stop by the dealership located at 1819 S Main Street, Fort Scott, KS. We can't wait to send you home in the new 2018 Dodge Challenger you've always wanted! There's no mistaking classic. Classic was cool yesterday, and it's cool today. 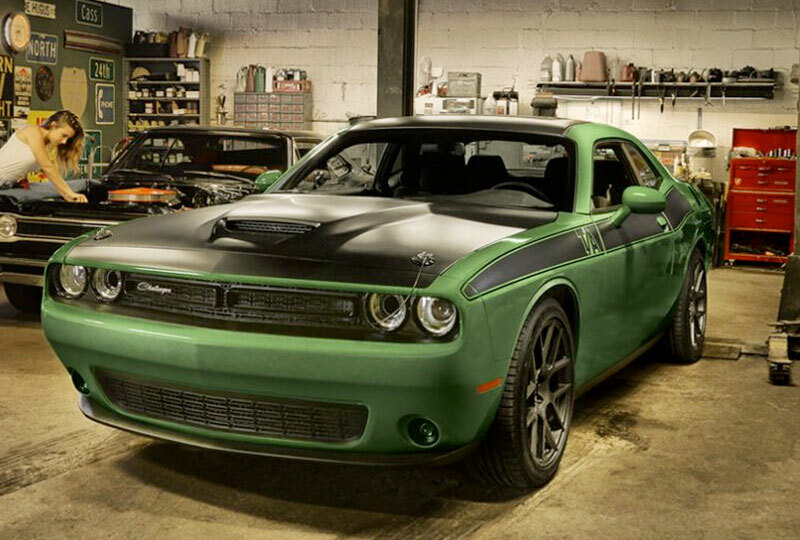 Purist performance cues like iconic and retro colors make every Challenger model a beacon of cool. The iconic styling of the Dodge Challenger is a nod to its muscle car heritage. If you can imagine it, we can build it. 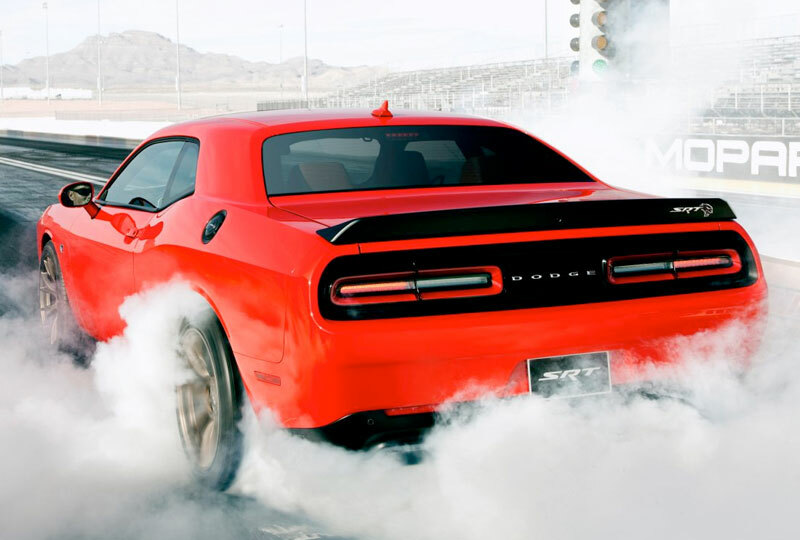 An available active exhaust system delivers an unmistakable and aggressive muscle car sound. It is standard with all V8 engines. Available Three-Mode Electronic Stability Control10 includes full-off mode for the performance enthusiast. Nobody plans to get into an accident. But you can plan ahead by choosing a car designed to help keep you safe and secure when the unexpected happens. 10. Always drive carefully, consistent with conditions. Always wear your seat belt and obey traffic laws. 17. Requires compatible smartphone running Android™ 5.0 Lollipop or higher and download app on Google Play. Android, Android Auto and Google Play are trademarks of Google Inc.
19. SiriusXM audio and data services each require a subscription sold separately, or as a package, by Sirius XM Radio Inc. Your SiriusXM service will automatically stop at the end of your trial unless you decide to subscribe. If you decide to continue service after your trial, the subscription plan you choose will automatically renew thereafter and you will be charged according to your chosen payment method at then-current rates. Fees and taxes apply. To cancel you must call SiriusXM at 1-866-635-2349. See SiriusXM Customer Agreement for complete terms at www.siriusxm.com. All fees and programming subject to change. 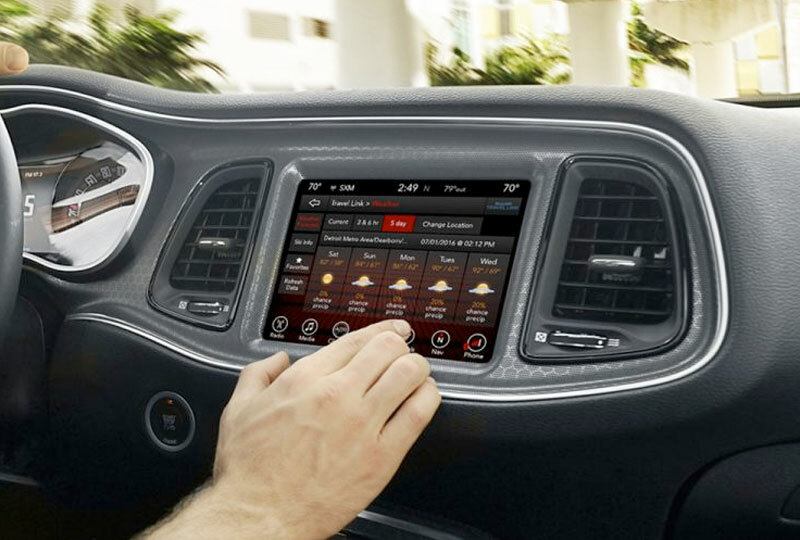 Not all vehicles or devices are capable of receiving all services offered by SiriusXM. Current information and features may not be available in all locations, or on all receivers. 20. All SiriusXM Guardian™-equipped vehicles come with a 12-month trial effective on the date of purchase or lease of a new vehicle. Enrollment in the trial is required to receive service. Upon expiration of the trial period, purchase of a subscription is required to continue SiriusXM Guardian. SiriusXM Guardian is available only on equipped vehicles purchased within the United States and Puerto Rico. Services can only be used where cellular coverage is available. See Uconnect® and SiriusXM Guardian Terms of Service for complete service limitations. 21. Always check entire surroundings visually before backing up.